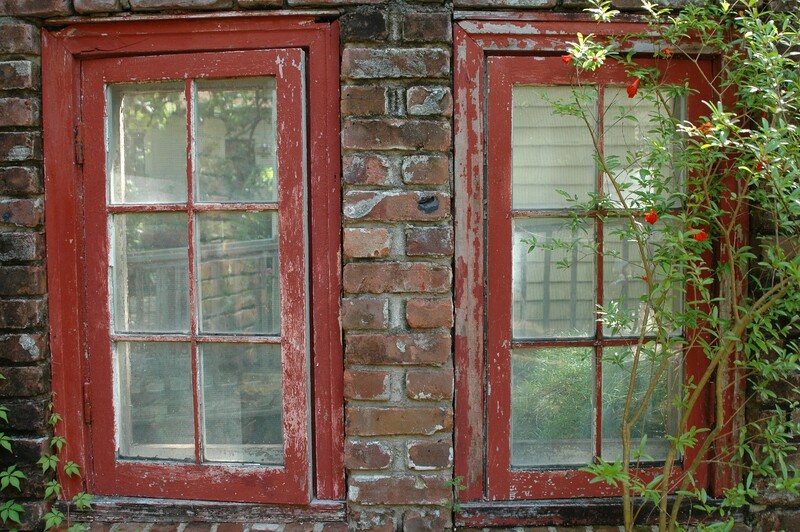 Worn Out Windows: Repair or Replace? Are your windows warped, broken or damaged? To answer this question, check to see if the opening mechanism works correctly. If it is a sash (sliding) window made of plastic which sticks when opening or closing, you can try rubbing the bottom of a white candle on the sliding mechanism, which may help the sticking. Check all around the interior and exterior of your windows to see if there are any cracks or damage anywhere on the frame. You can also verify if your window is letting through any drafts by holding a lit flame around the interior side of the frame while it’s closed, and seeing if it flickers. Another tell-tale sign that your double glazing is damaged beyond repair is when the interior pane fogs up. This means moisture is being let into the double glazed windows and that you will probably need a new one. However, this does not always mean you need an entirely new window: you could replace the interior frame without removing the entire casing. Ask your window provider what the possibilities are for your window. Are your windows efficient enough for your home? Windows allow us to look upon the world and let light into our lives, but they can also be incredibly inefficient areas of our home, without us even realising it! If your home feels chillier than it should in winter, and warmer than it should in summer, it could be because your window’s emissivity value is too high. You may have seen adverts for “low-E” windows, and this simply means that your window allows too much heat to pass through it – to the outside in the winter and into your home in the summer. If your double glazed windows have failed, they could potentially be repaired. However in the case of undamaged single glazed windows that by their nature are not very efficient, you could purchase secondary glazing or “winterize” your windows as they do in Minnesota (where the temperatures can drop to as much as -40C!). This involves caulking or weather stripping the window, as well as adding temporary plastic wrap to the windows to reduce heat loss. Are your windows looking worn or visually unappealing? As time passes our taste changes, and windows we may have loved 10 years ago, are not so attractive to us anymore. If you are looking to sell, out-of-date windows could detract from the curb appeal of your home. If you’re not sure about this, ask a friend for a second opinion. If you decide you want something a bit different, you could re-paint your windows (check the material it’s made of first, and find out what kind of paint you need for that particular material) or invest in a different style of window. Some old houses do not suit plastic casement windows and look much better with wooden sash windows, but these are considerably more expensive. A re-decoration or restoration job could be a better option, and can be done fairly easily. Wooden windows can be re-varnished, and plastic windows sometimes just need a thorough hoover, scrub and wipe to appear brand new. In any case, contact a professional if you’re not sure what the best option would be, they can advise you as to the expected costs of any window replacement or refurbishing costs.